You are currently browsing the category archive for the ‘Infinite Stratos’ category. 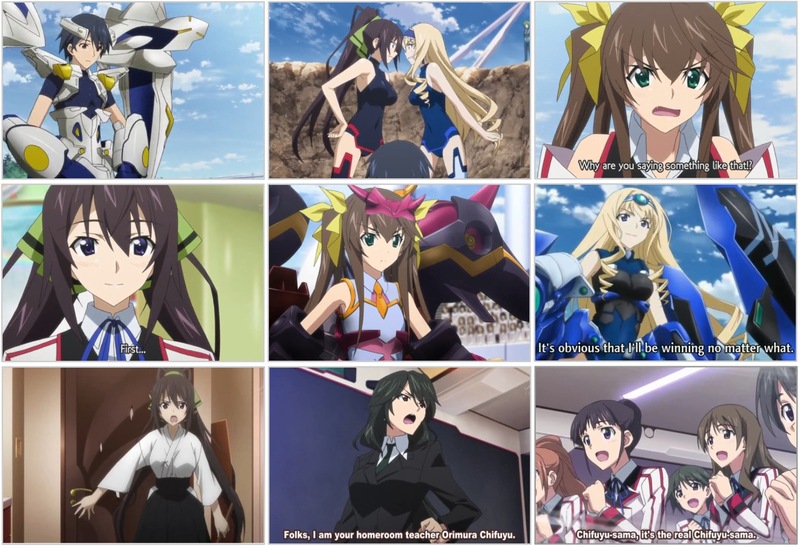 [anime] Infinite Stratos Ep 1-4 ~ good all rounded harem show!! Usually I’m not a fan of harem shows (I feel like I’ve been saying that a lot this season) but this anime has a good balance of pleasant animation (not as nice as GOSICK but some of the art we have seen this season is honestly ARGH!! ), nice character designs (I think the girls are all quite pretty), the “onee-sama” factor when all the students squeal over Chifuyu-nee and BEST of all the voices of Youko Hikasa and MEGUMI TOYOGUCHI!!! SEI!! How I miss that voice!!!! The guy is also surprisingly not that annoying and actually seems decent! I reckon this one is almost a must watch! The harem factor got a tad over the top in episode 3 but by episode 4 it looks like we’re getting a more serious storyline coming through. The mecha fighting scenes are done quite kakkoi too! This is def worth giving it a go!! Anime to look out for this winter season!! Story: Shuicihi Nitori appears to be a shy and quiet preteen boy, when he transfers to a new school he quickly makes friends with the tomboyish Yoshino Takatsuki who sits next to him. It soon becomes apparent that both Shucihi and Yoshino are more than simply a sensitive boy and masculine girl, they both are transgendered. Together they decide to take the first steps toward becoming the people they want to be (taken from ANN). Reasons for watching: There are a number of reasons to watch this one!! Firstly, the mangaka is the one from Aoi Hana, Takako Shimura!! There’s no yuri but the anime focuses on some transgender issues!? Sounds interesting!! Plus if you go to the website and check out their trailer, the art is soft and endearing with a very classical music OST. I love the use of strings!! How can you NOT watch it!?!? Seiyuu wise, it’s also quite attractive with Aki Toyosaki (Yui from K-ON! ), Nana Mizuki (Fate from Magical Girl Lyrical), Saeko Chiba (Natsuki from Mai-Hime), Yoshino Nanjou (Maria from Canaan), Yui Horie (need I say more!?) but they seem to all just play supportive roles. The main two characters are played by new voice actors, I think? You can find me on TWITTER!! [tv] The Real L Word back for Season 3!? You can e-mail me here or even add me on Meebo! !